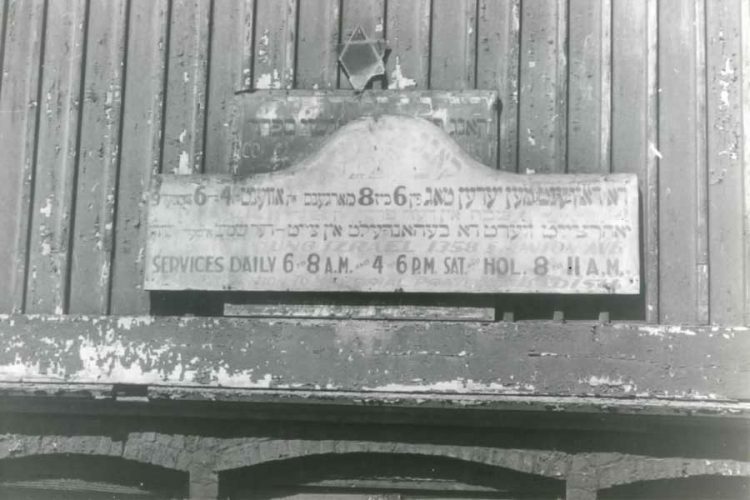 This sign with the Star of David and Hebrew script posted on a former German Evangelical church built in 1864 at 1358 S. Union, two blocks south of Maxwell Street, illustrates the transition of the Maxwell Street neighborhood from its early German immigrant roots to a Jewish immigrant neighborhood. The Jewish population there was the largest and longest standing, from the 1880’s through to the 1920s. All images published by the Maxwell Street Foundation within this website are copyright of the artist and are for educational, personal, and/or noncommercial use only. For any other use, please contact gro.n1555618796oitad1555618796nuoft1555618796eerts1555618796llewx1555618796am@of1555618796ni1555618796.